Have you ever been duped by a burglary myth? There are plenty out there, and it could happen to anyone. But to truly outsmart burglars, you have to arm yourself with the facts. Read on to find out the truth behind 4 of the most common burglary myths. MYTH: Most burglaries occur at night. FACT: The majority of burglaries take place between 10AM and 3PM, while you’re at work. MYTH: Most burglars pick locks or use high-tech equipment to get in. 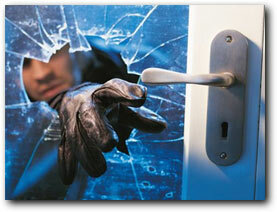 FACT: According to the DOJ, burglars most frequently enter through an open or unlocked door or window. MYTH: Most burglars have little to no experience breaking into homes. FACT: According to a study by the Bureau of Justice Statistics, 82% of burglars are repeat offenders. MYTH: Burglars don’t target gated or restricted-access communities. FACT: According to the Bureau of Justice Statistics, homes in gated and restricted communities have nearly the same burglary rates as homes with direct outside access. In today’s environment, numerous benefits come with the ability to monitor and record activity at your home and business. With today’s rapidly changing technology, security surveillance equipment has been widely adopted by home and business users who highly value their valuable assets. Jungle Computer CCTV systems has introduced one of the most sophisticated and cost-effective networking surveillance equipment that provides our customers the best solutions to suit their needs. Professionally installed security cameras enable you to monitor your home, family, business, customers, employees, and your suppliers onsite and remotely 24/7. Security camera systems also provide a deterrent to theft, lawsuits, harassment, loss, and much more. From the smallest camera surveillance system, to a more elaborate security camera systems (CCTV), we can deliver. 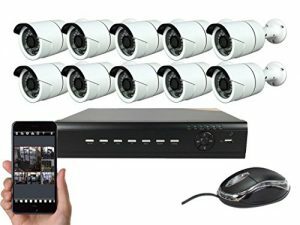 Whether you are looking to install CCTV surveillance equipment or CCTV security camera systems in your home, business you will find Jungle Computer Technology installers to be very friendly and experienced. Invest and monitor your precious assets with accuracy, reliability, and stability 24/7. A-AH16K8-2TB H.264 16CH AHD 1080P 960H Hybrid DVR with 2TB, 8 x Outdoor 1080P HD IR Cameras System 1080P-Lite/720P/960H/D1/Half D1/CIF Real-Time Recording / Playback Quality. Recording 1080P-Lite/720P @ 240 FPS on AHD 1080P/720P cameras, or recording 960×480 / 720×480 / 720×240 resolution at 480 FPS on analog cameras. Including 8 x 2 Mega-Pixel 3.6mm wide-angle IR bullet cameras. 2TB HDD pre-installed. 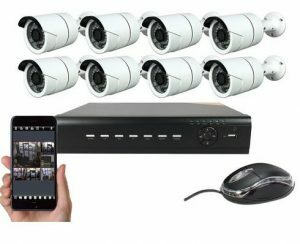 A-MHDBF1 2MP Bullet IR Camera x 8, 66 Feet BNC Cable x 8, IR Remote Control x 1, Mouse x 1, Power adapter & Power splitter, one 2TB HDD Pre-installed. 1080P-Lite/720P is the latest industrial standard of recording resolution in analog HD surveillance systems, which allows you to record video at clear image size of 960 x 1080/1280×720 pixels, seeing more details. With the newly implemented software, you can easily access your system via mobile device in a few seconds. Built-in HDMI video output allows users to view cameras on high resolution TV up to 1920 x 1080. For users’ convenience, the DVR can output video via HDMI and VGA at the same time.